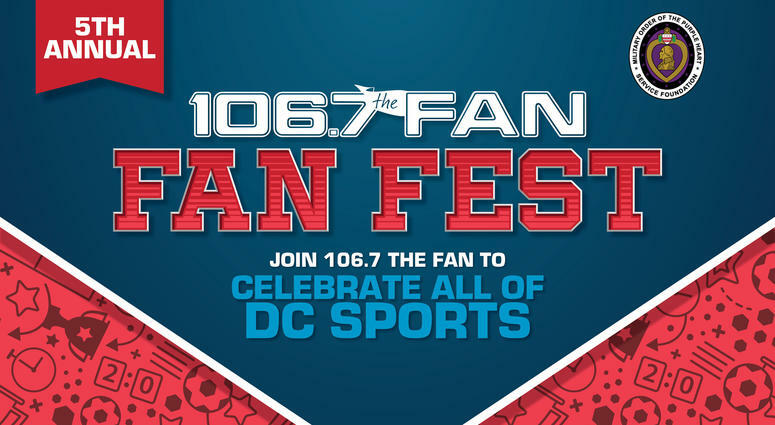 106.7 The Fan's annual Fan Fest has moved to the brand new St. James Sports and Active Entertainment Center in Springfield, Virginia. 106'7 The Fan's fifth annual Fan Fest takes place this Saturday, September 29, from 12 p.m. to 3 p.m. Presented by the Purple Heart Foundation, Fan Fest is free to attend. Last year, the event's special guests included Doug Williams and Mark Rypien (both former Redskins quarterbacks). Who will come this year? The only way to find out is to show up! Fan Fest's new venue will be the St. James Sports and Active Entertainment Center, which just opened on September 15. The gorgeous St. James is the perfect location for celebrating Washington sports, and the event is also the perfect time to check out the D.C. area's newest state-of-the-art sports complex! 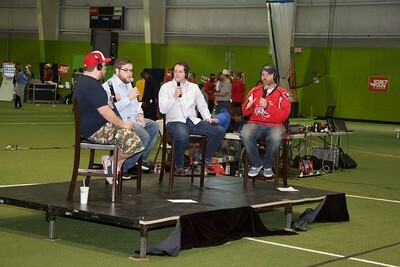 Radio personalities Chad Dukes, Grant & Danny, and the Sports Junkies will broadcast live from the event, with special guests from NBC Sports. Get autographs from some of your favorite current and former Redskins and enjoy plenty of games and activities such as face-painting, golf simulators, ice skating, sports clinics (soccer, football, basketball, and lacrosse), a batting clinic with former Nationals player Michael Morse, and the Chad Dukes Beer Garden. All your favorite D.C. sports teams -- Nationals, Capitals, Mystics, Redskins, Wizards, and Valor -- will be represented in one way or another! The St. James Sports and Active Entertainment Center is a 450,000-square-foot complex that sits on 20 acres. Its amenities include an Olympic-sized swimming pool, ice rink, indoor rock climbing, zip lines, health club, active entertainment center, and youth sports programs. Retail shops, a restaurant, and an indoor water park will be opening soon. The facility is located at 6805 Industrial Road, Springfield, VA 22151. So come on out to the St. James this Saturday from 12 to 3 p.m. and support local D.C. sports. For more information, click here. Do you plan on coming out to Fan Fest? Are you excited to see the St. James for yourself? Share your thoughts in the comments below.